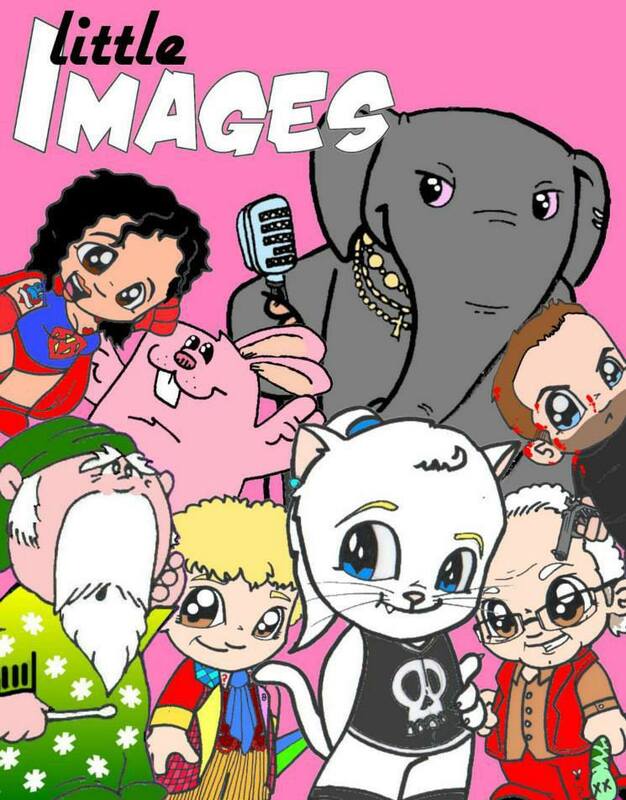 Little Images is a home based business, run by my friend Charlie Vaughn. They offer personalized caricatures and drawings for all sorts of things, kid-related and not. “Fed up with boring and unimaginative children’s bedrooms? On a budget and can’t afford to fully redecorate? Want to make your children’s bedroom or playroom more exciting, colourful and imaginative? Let us know your idea or what you would like and we can change these rooms using painted murals, customized blinds and canvasses, toy boxes and units decorated to theme. All we need is a little image of what you or your children would like to see!We are a small family business in Clacton on sea in Essex. The idea came from starting out decorating friends and families bedrooms with murals and having each person say: “This is great why don’t you do this as a business/job/work?”That’s when it hit me i love putting smiles on kids faces and making their imaginations explode when they play at home. I was fed up working for unfriendly non-family thinking businesses, so “LITTLE IMAGES” was born!We use child friendly paints and inks to create dream and theme bedrooms. within a couple of hours your kids could be playing in a jungle, castle, Hogwarts or even Egypt! If you have the ideas or designs then we have the time.For murals and pictures on walls, we take a £10 booking fee to buy materials we need and secure the booking then £10 per hour on the job itself. For canvasses, blinds, toy boxes and units we give you an estimate on the measurements/materials and then £10 booking fee and £10 per hour on the job itself. Please like and share with your help we can bring more smiles. It’s like we keep saying with “LITTLE IMAGES” comes big visions! These will lead to the biggest and richest smiles you can get! Now don’t limit your thought process, cartoons aren’t just for kids anymore. They also make great gifts, I’m going to be gifting my best friend with one… Hopefully he doesn’t read this post until after he gets it. :)I use the following Little Image banner as my signature on SnakeBiteHorror, the website I review for, and the caricature as my FaceBook profile image. I’m also in the process of getting a new one drawn up that will be used at the logo for my home business. Maybe I’m just a big kid at heart, but I thin you should at least give their FB page a look-see and check out what they offer. You can check out their page HERE.